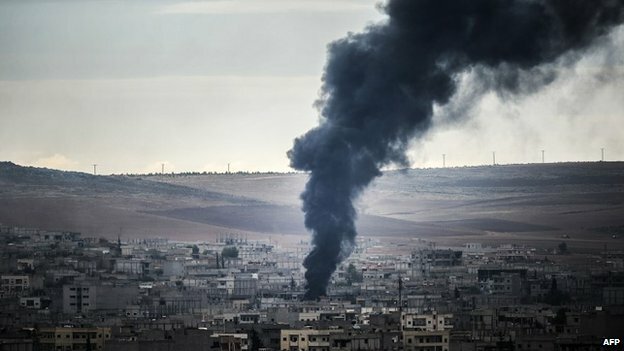 Since the humanitarian crisis in Kobani made its way to world media outlets, the Turkish government has been under constant international and domestic pressure to either intervene militarily in saving Kobani and/or actively assist the overall anti-Islamic State US-led coalition. So far, Turkey has not engaged actively in this coalition. Policy-makers and analysts have been trying to present ideas from a normative perspective rather than analytical. They focus more on why and how Turkey should become more active. The Turkish government is dragging its feet. They find it difficult to engage in actions of micromanagement of the Syrian Civil War if they do not reflect Turkey’s wider strategic interests in Syria. 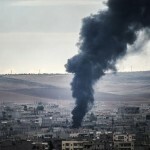 For Turkish policy-makers Kobani is not primarily a case of humanitarian intervention. As a consequence, Turkey observes a ‘wait-and-see’ policy which at best can turn into a ‘step-by-step’ policy. However, Turkey risks the possibility of becoming a passive actor that could lead to it not having a strong voice in a post-war Syria. So far, the Turkish Government has been resisting participation and even denied the International Coalition the use of Incirlik Air Base against the Islamic State. On top of that, there have even been allegations from founding members of the AKP party, such as Dengir Mir Mehmet Firat, that Turkey has supported “extreme religious groups”. Against the backdrop of inaction in Kobani, one cannot fail to notice that there have been examples of promising activism which however, are not necessarily related to the war against IS. Initially, the Turkish Parliament with the support of AKP and MHP deputies passed a bill on 2 October renewing the permission given previously to the Turkish government to define the fundamentals for military operations in Syria and Iraq. Turkey has also recently agreed to train and equip the “moderate Syrian opposition” and the Turkish Prime Minister, Ahmet Davutoglu, pledged Turkey’s support to the population of Kobani. He publicly stated that “In the way we took care of oppressed people in every part of the world, we are determined to reach out to all; Syrian Arabs, Turkmens, Kurds, Christians. Kobani is a historical heritage. We share the fate of our brothers who live there.” In a sense, the Turkish Government did not exclude the possibility of intervention. It seems that they are preparing the ground for that possibility. The two questions that arise at this point are why Turkey oscillates between ‘wait-and-see’ policies and ‘step-by-step’ policies and under which circumstances the Turkish Government would support more action on the ground? The case of Kobani illustrates vividly that Turkey would not commit to an alliance against IS on the basis of humanitarian considerations only. Turkey could easily have intervened in Kobani but it did not, even after the release of the IS-held Turkish hostages. The Turkish Government has refused to address Kobani as a symbolic issue or as part of crisis micromanagement. Prime Minister Davutoglu tends to consider foreign policy activity in terms of a long-term strategic plan and would not deviate from that in Kobani. Drawing on his analysis and practice as former Turkish Foreign Minister, one could summarise Davutoglu’s view as Turkey’s active diplomatic engagement with neighbouring countries for greater political and economic cooperation. He considers Turkey’s history and geostrategic position as assets that should be used, not ignored. He has been promoting an outward-looking foreign policy toward neighbouring countries and solving any outstanding bilateral problems that can hinder cooperation. Not so long ago Davutoglu put forward and implemented the idea of bilateral High-Level Strategic Cooperation Councils with neighbouring countries, such as Syria and Iraq. In the case of Syria, there were a number of agreements that were signed with Bashar Al-Assad’s Syria in 2009 and 2010 that covered a wide range of political and economic issues. The beginning of the civil war in Syria in 2011, and its escalation since, have overturned Davutoglu’s strategic plans. Syria is now a fragmented state with no central rule and no end in sight to a peace agreement between Assad, the extreme Islamists of ISIS and al-Nusra Front and the Syrian Kurds. Intervening in Kobani to save the Syrian Kurds from ISIS or expelling ISIS from its borders altogether does not answer Davutoglu’s strategic view of a stable and unified Syria that would be able to engage with Turkey in bilateral relations in a short period of time. Fighting IS without committing the Syrian Kurds to a united and stable post-Assad Syria does not serve Turkey’s strategic view. It is not in the interest of Turkey to have a divided and unstable Syria that shares hundreds of kilometres of border. Further instability in the region because of military aggression would cancel any efforts from the AKP government to exert influence in the region through means of ‘soft’ power. Moreover, an autonomous or independent Syrian Kurdish polity led by a PKK-linked party would change the dynamics within Turkey for a solution of its Kurdish problem. Accordingly, the AKP government has put all its weight behind the removal of Assad as an attempt to reunite the different groups under the banner of a post-Assad Syria that would potentially integrate their aspirations. The bill the Turkish Government recently passed highlights the importance of Syria’s unity, presents PKK and IS as terrorist organisations and holds Assad responsible for the civil war and rise of terrorism in Syria. In this context, Turkey plays Kobani as a card in order to push its allies and mainly the US to come up with a comprehensive plan that would remove Assad and potentially keep Syria united. Anything less than that is considered a risk that the Turkish Government is not willing to take. Turkey is already losing because of the instability in Syria and they do not have the intention to invest in a policy that would weaken the prospect of a united Syria. However, the strategic view of the Turkish government has its own limitations when it comes to implementation. Turkey knows what it wants in Syria but it has not found a way to back it up with action and hence its ‘wait-and-see’ policy. The US does not seem willing to support -even if it wanted the removal of Bashar Al-Assad, to avoid complicating issues for the coalition. Iran and Russia would not accept such an effort. Furthermore, the US sees Assad as an effective anti-IS force. In addition, the divisions between the different groups in Syria run so deep that it would be impossible without further military action to force them into cooperation. At the same time, the Turkish ‘wait-and-see’ policy designed to add pressure on its allies for a comprehensive plan may prove risky. There is a good possibility that the Syrian Kurds will receive military and diplomatic support from Western countries because of their willingness to fight the Islamic State. Turkey, for now at least, seems to be sticking with the Herculean task of removing Assad and pushing for a united Syria. Turkey has not found a way to micromanage the war in Syria along the lines of its overall strategy. To move one step further, it is not clear how Turkey could unite post-Assad Syria with the presence of IS. IS’s ideology and practice does not serve a united Syria. Therefore, it is possible that on a first level Turkey may start to engage more with its allies in an attempt to find this set of micro policies in Syria, including helping Kobani that could increase the possibility of diminishing violence and instability. On a second level, it will try to put more pressure on all Syrian actors to engage with their plan for a post-Assad united Syria.